I’m off to cat camp on Monday because my humans are off to London for work and then they’re hopping over the pond to America on holiday! … I’ve packed myself! Do you think they’ll notice? « Have you seen me sailing? Sorry you will be abandoned, but humans tend to do that sometimes. We purr you have a good time at cat camp and get spoiled there! Oh Bailey I know you’d like to go with them but they’ll be back before you know it AND probably bring you some presents!! 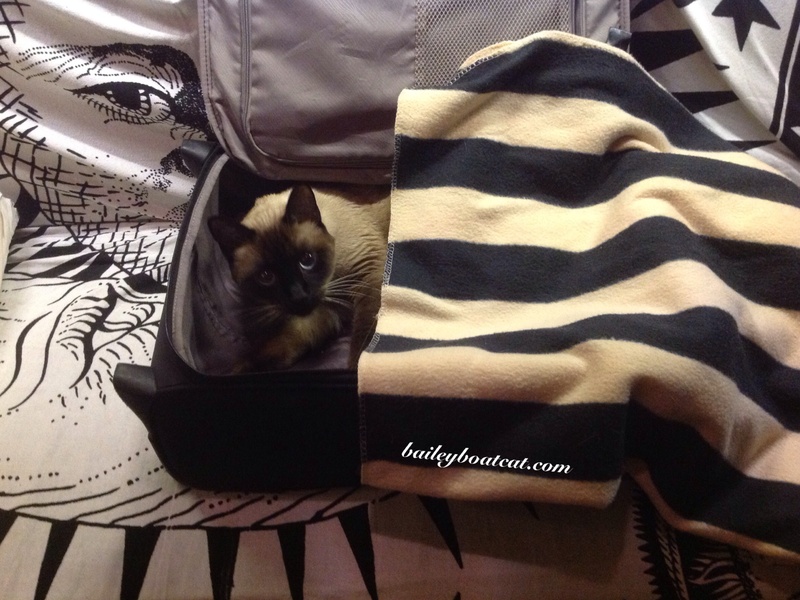 As for sneaking into their suitcase – I think when you start screaming because you’re hungry they’ll figure out you’re a stowaway…..
Bailey I think they would miss you before they leave! You are far too lovely not to notice! Your humans may not notice, but TSA probably would. Oh well! Just don’t meow and give yourself away. Oh Bailey – you’ll have to hide better than that! Make yourself tiny, no purring, no miaowing, and you might have a chance! Hope that cat camp isn’t too horrible. I know Bengie doesn’t like it! I’m sure they will miss you terrible and talk about you all the time. Have her take some copies of your book in case she finds an independent book store who might read it and then want to stock some in their store. Sometimes you have to give a few away in order to stir more interest. Love ya Bailey, M.J.
You’ll like cat camp way better than to go on a trip on a plane. I hear those horrible things are noisy and you feel like your in a sardine tin without the sardines. Best stay at camp. Think of it as a vacation for you, Bailey! Enjoy your time at camp. I bet they wish you could go too Bailey. I am sure you will enjoy your time at the cat hotel. 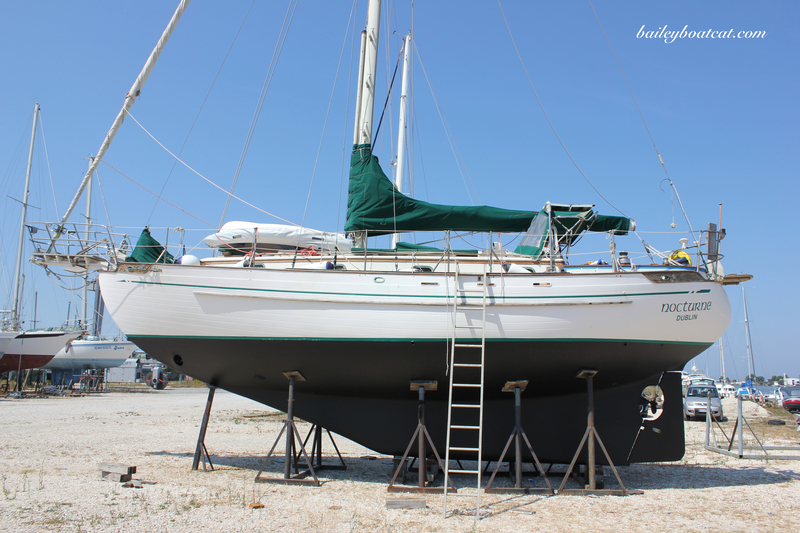 You look so cute all tucked away in there but please come out…we’d miss you! Bailey enjoy your time at cat camp. I am sure you’ll have some exciting adventures there. A change of routine is good for everyone once in a while. When you come back you’ll have to tell us all about your vacation. If they don’t notice, look me up when you get to America. I know Chris would love to meet you. Oh BUMMER. We recently began traveling in the car with our mom and it’s kinda FUN! Hoping they get back to you very soon! Be sure to smuggle some toys and treats in there with you, just so you don’t get bored or hungry!